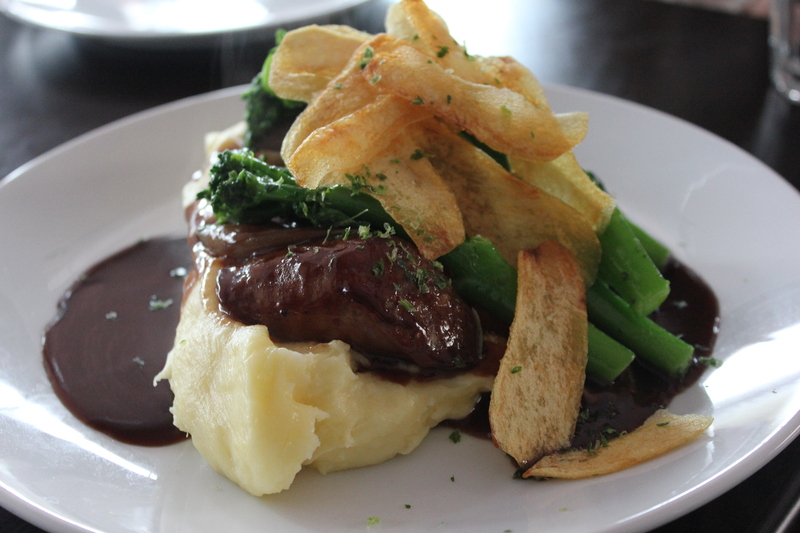 Ciao Italia is a household name to many in Perth and a local institution for Italian cuisine. The end of last year marks Ciao Italia’s new venture, Chapter 88, strategically located at Broadway Shopping Centre, near UWA. And no, this is not like Ciao Italia in South Perth. Chapter 88 shouts modern, casual and contemporary, serving up breakfast and lunch favourites. From hearing about Chapter 88, I have always wanted to give it a shot since it was so close to uni and it was decided that Chapter 88 would be a perfect place to catch up with the girls over lunch. We ordered one dish from each section of the menu to get a little taste test of what Chapter 88 have to offer. 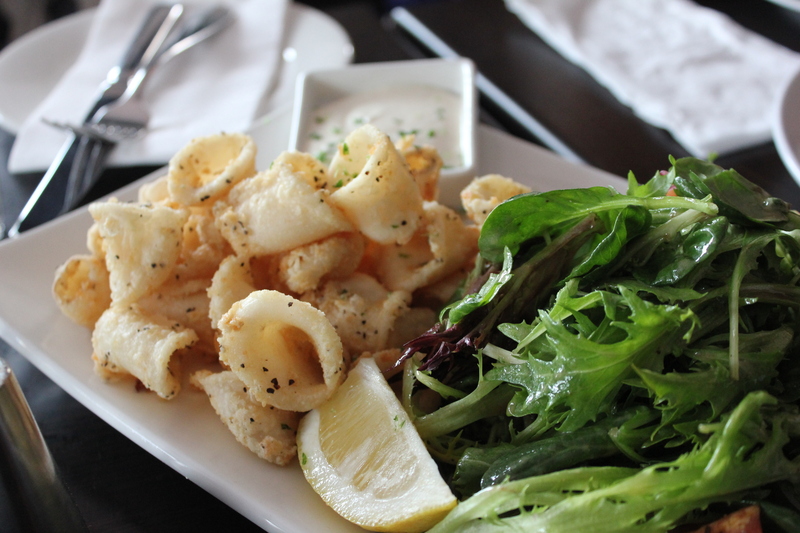 First up, we had the Crispy spiced calamari, lime garlic aioli and mixed leaf tomato salad ($19.50). The calamari was fresh and crispy on the outside. Not oily. Not greasy. It was light. Together with the lime garlic aioli, it gave some fragrance and acidity to the calamari, making it a perfect starter or an afternoon snack. 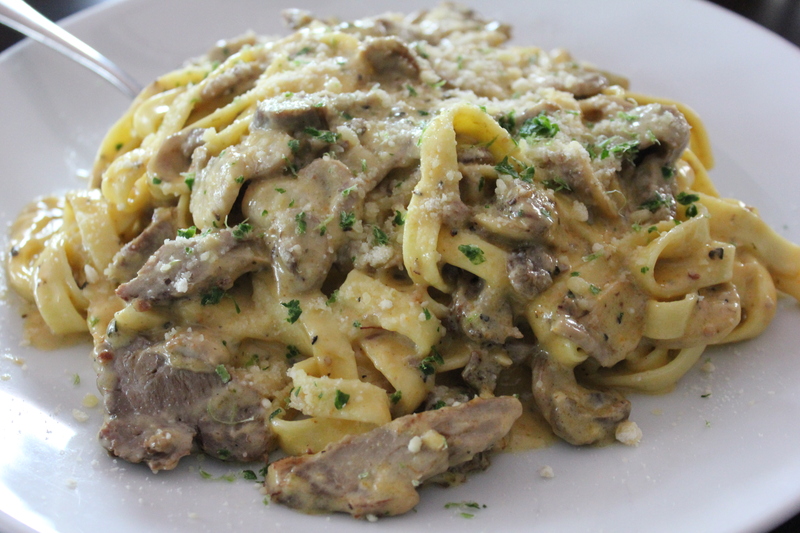 We had the Special of the Day which is the Lamb Fettucine (sorry I can’t remember how much this was!). As Chapter 88 is also owned by Ciao Italia, you would expect that the pasta here should also be as good. Yes, it was. The Lamb Fettucine at Chapter 88 was executed well. The fettucine was cooked perfectly to al dente and the sauce, creamy and flavoursome. 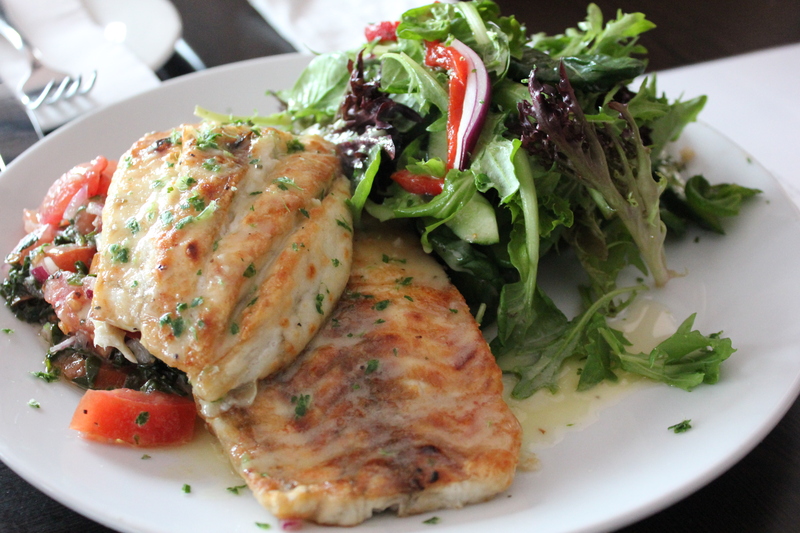 Next up, was the Grilled Barramundi, tomato salsa and mixed leaf tomato salad ($29.50). The Barramundi was fresh and it was cooked perfectly. Not undercooked or overcooked. It was soft and tender with light and subtle flavours. The tomato salsa, together with the salad added a punch of freshness and acidity to the dish, marrying the flavours well together. We also had the Grilled Pork Bratwurst, caramelised onion jus, creamed truffle mash, buttered brocollini and crispy potato wafers ($26.50). The Pork Bratwurst was delicious – it was full of flavour together with the caramelised onion jus. The creamed truffle mash was perfectly smooth and creamy. But, my only question is – Where are the truffles? The part which we have all been looking forward is dessert. And everyone knows what Ciao Italia is popular for – wait for it – TIRAMISU! Yes, yes, the classic Italian Tiramisu. Chapter 88’s tiramisu did not disappoint – it was melt in your mouth heavenly. 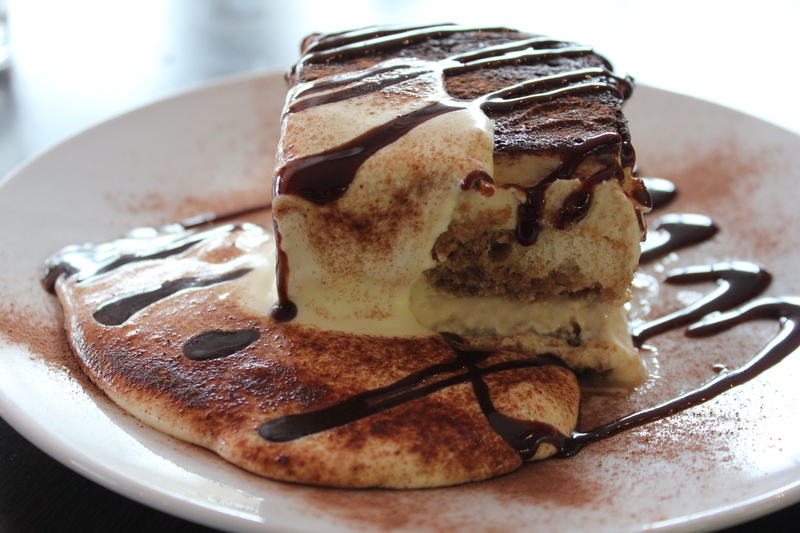 The tiramisu was layered perfectly with soft textures and creamy mascarpone plus a drizzle of chocolate sauce. When you have finished devouring one, yes, you will be asking for more. My thoughts? I enjoyed Chapter 88 and thought that the food was excellent. Service was very efficient and friendly too. How I wish Chapter 88 existed a few years ago – it would be a perfect place to reward ourselves with food, cake and coffee to celebrate the end of assignments, exams or a semester. Oh and I have good news for you. Chapter 88 is not only open for breakfast and lunch but it is open for dinner too!